Adding highly refined fiber to processed foods could have negative effects on human health, such as promoting liver cancer, according to a new study by researchers at Georgia State University and the University of Toledo. Although this study was performed in mice, it has potential implications for human health, particularly cautioning against enriching processed foods with highly refined, fermentable fiber. "These findings indicate that enriching foods with purified fibers may not recapitulate the benefits of eating fruits and vegetables naturally rich in soluble fiber," said Dr. Andrew Gewirtz, professor in the Institute for Biomedical Sciences at Georgia State and one of the study's authors. "Moreover, it may result in serious, life-threatening liver cancer in some individuals. 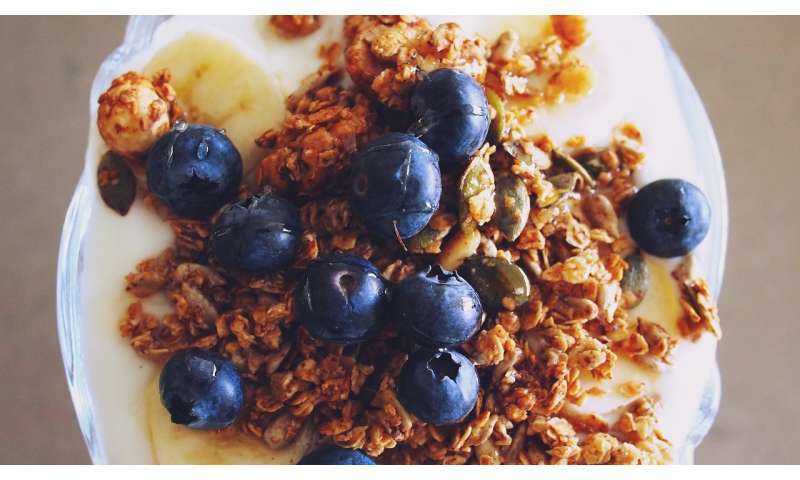 Hence, we think the recent FDA rule change that has effectively encouraged marketing of fiber-fortified food as health-promoting is ill-conceived and should be reconsidered." These findings were published in the Oct. 18 issue of Cell, one of the world's leading biological journals. "We importantly demonstrated that soluble fiber, while it generally beneficially impacts health, can also become detrimental, leading to diseases as severe as liver cancer," said Dr. Benoit Chassaing, assistant professor in the Neuroscience Institute at Georgia State. "However, we do not want to promote that fiber is bad. Rather, our research highlights that fortifying processed foods with fiber may not be safe to certain individuals with gut bacterial dysbiosis, in whom consumption of purified fiber may lead to liver cancer." Q&A: What's the best way to boost your fiber intake? Also, Chicory is an allergenic plant in the ragweed family. "Allergy to ragweed and related plants: Chicory may cause an allergic reaction in people who are sensitive to the Asteraceae/Compositae family."